Homeowners have many different reasons for keeping rodents out of their living areas. Mice and rats carry diseases and leave behind feces, dander and lice wherever they go. They also chew throughout the day to wear down their ever-growing teeth, which puts your walls, wires and personal items at risk. Keeping rodents out of your house is not only good for your health but also for your belongings. Rodents can sniff out food from long distances, so it's important to keep your outdoor garbage bins closed at all times. You should also keep a lid on the interior trash can as an added safety measure. Seal gaps around the exterior. Cracks around the crawlspaces make for good entryways. Whether it's a gap around a vent or a space beneath the back door, block them before rodents use these areas to invade your home. Remove clutter from the yard. Rodents build shelters in clutter like plastic tarps, wood piles and trash heaps. If you keep clutter next to your house, you're inviting rodents closer to where you live, eat and sleep. Reduce the amount of clutter in your yard to stop rodent infestations from taking over your property. Clean up after every meal. Leftovers on the counter and crumbs on the floor attract rodents that have made their way into your walls. When you sleep, they come out and crawl over interior surfaces as they search for food. Clean up immediately after you eat to prevent rodents in your kitchen and other living areas. Transfer opened pantry items to sealed containers. Boxed goods, including bagged goods like flour, are targets for mice and rats. Don't leave these items opened in the pantry as mice can easily chew through the boxes and bags or get into them through the openings. Transfer the contents to sealed plastic containers, and keep them higher on a shelf or in the refrigerator. Sometimes rodents get into your home no matter what you do. When all else fails, professional pest control is the key. Professional technicians know how rodents get into homes and can identify various entrances around the exterior. 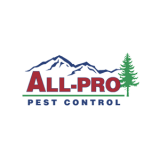 All-Pro Pest Control will not only remove rodents but also prevent them from reinfesting your living spaces.